We completely agree with this statement! But don’t worry either way, because the Classic version is the only one they offer nowadays. We’ll clue you in on the rest. The Arbor Classic Pack color scheme is constantly changing—we’ve seen everything from navy blue to bright yellow to funky patterns. While these may not always be in season or stock—it’s fair to say that Patagonia is always changing things up. The overall look of the bag is a cross between heritage and adventure, which we are really digging. If you like the style of the pack, the color is really up to you and what’s available at the moment! 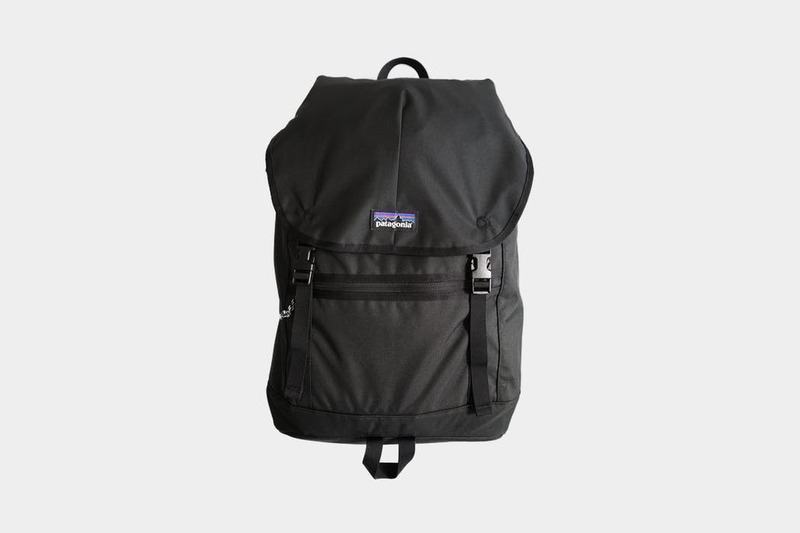 The pack is pretty simple by the looks of it—including a small centered Patagonia logo on the top flap of the pack. It’s small and simplistic which we think fits the pack just right. There’s also an additional logo on one of the shoulder straps which still feels simple enough. We were happy to see the Classic version take an even more eco-conscious approach, utilizing bluesign® approved 600D and 200D 100% recycled AND solution-dyed polyester, polyurethane coating, and durable water repellent finish, the materials have held up in numerous types of climates. Kudos to Patagonia for constantly improving their environmental standards! The pack utilizes durable hardware, such as Duraflex buckles and YKK zippers. There are two Duraflex buckles located on the front of the pack, which keep everything securely shut. And just in case you were worried this won’t be secure enough to hold in all your valuables, the main compartment of the pack also has a paracord drawstring that can be tightened up. We’ve found the drawstring component of this pack to work really well. Tuck in your paracord drawstring to the interior of the pack and you’ll be extra secure! 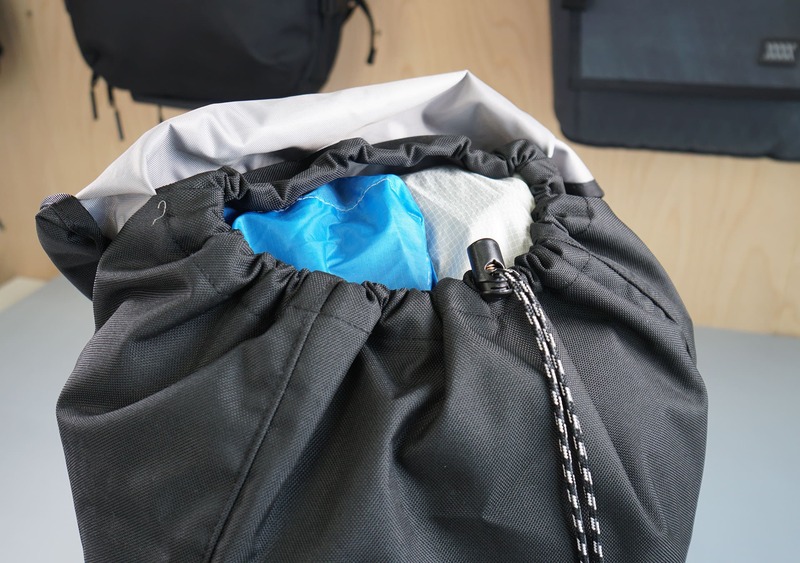 When it’s closed tightly and the top flap is buckled shut, the two components work well together to help prevent water getting in your pack on those rainy days. Is it completely waterproof? No. But it will almost certainly prevent your stuff from getting wet during a drizzly walk from your Uber to the airport entrance. At the end of each zipper there’s a small paracord loop that can double as a carabiner holder. If you still need more room for hanging items there is additional webbing, along with a fixed webbing loop (meant for carrying ice tools) at the bottom of the pack. We’ve also found you can bring along your yoga mat by clipping it in-between the two main buckles on the front of the pack. There is a front pocket which may be compromised depending on what you carry on your webbing. This pocket is great for phone chargers, notebooks and other items you may need quick access to during your travels. 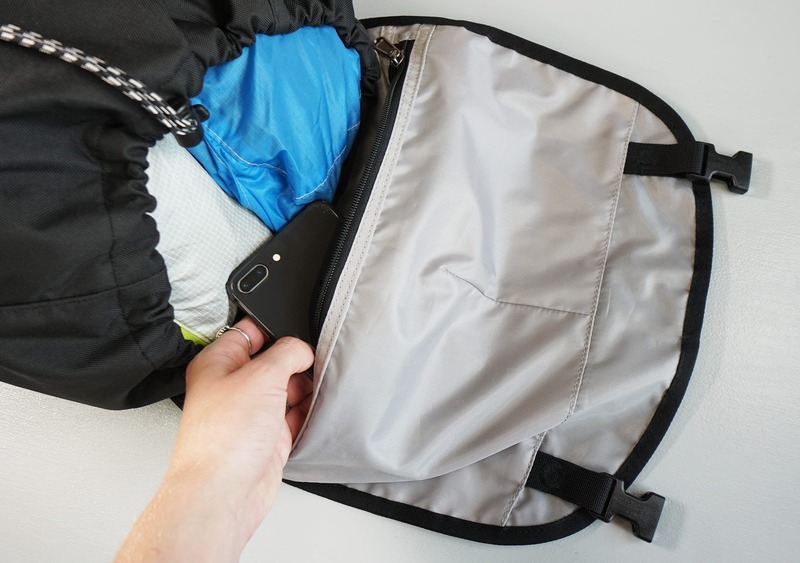 We should note that depending on how much you shove into the main compartment, you may have a tough time fitting a whole lot in this front pocket, we’ve found that flatter items work best. 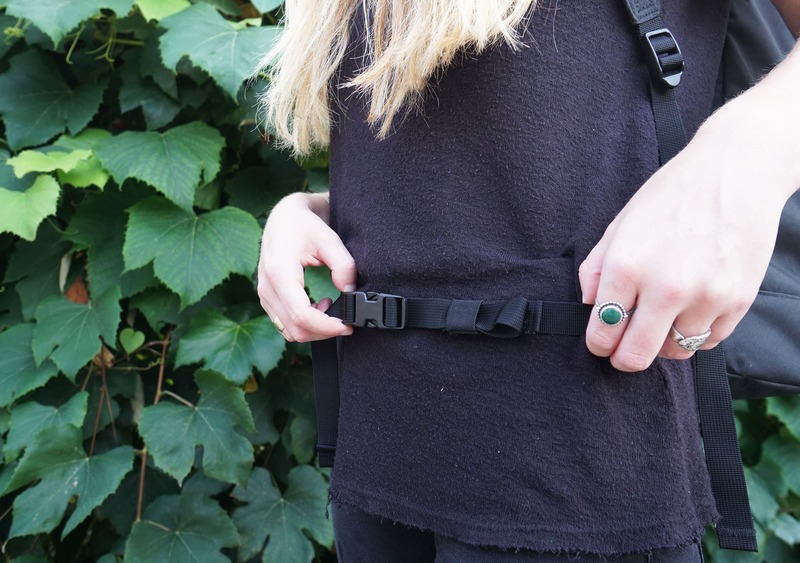 The pocket’s access is also compromised when the buckle system is clipped shut—which can be a bit problematic at times but also a great security bonus. Inside this pocket lies a small paracord loop that you nicely holds a keyring or multitool. The pack also offers a top handle which works great for hanging on the back of hotel doors or in the bathroom stalls of airports. 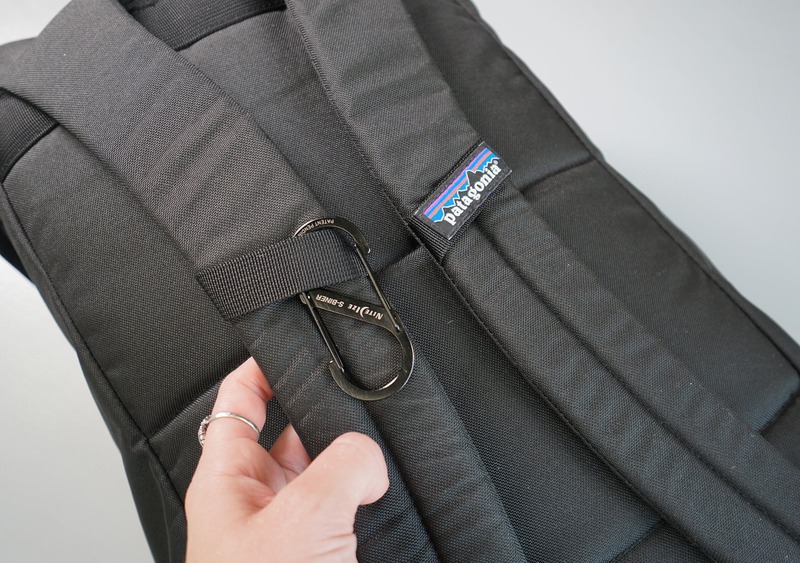 And last but not least, Patagonia uses Human Curve® shoulder straps and we’ve never had an issue with them the several years we’ve used the pack. They’re made to conform ergonomically to your shoulders and upper chest for added comfort with any carry, with a perfect amount of padding. We do wish the pack had an optional sternum strap, which would be nice for heavier loads. Additionally, the hip belt doesn’t offer much support and tends to get in the way. We typically have it tightly bucked against the pack, utilizing the provided elastic keepers to keep the straps from dangling. It would be nice to have the option to remove this since we have chosen not to use it majority of the time. Also, keep a close eye on your elastic keepers, as one of ours fell off during our travels which was a bit sad. Luckily, when we reached out anonymously, Patagonia was super helpful and sent us a free replacement in a very timely manner. These gripes aren’t deal breakers, as the rest of the pack is pretty darn solid, including the interior components. Taking a look inside, there’s a decently padded 15” laptop compartment with a false bottom. During most of our testing, we’ve been without a laptop case (living on the edge) so the extra padding here was a welcomed addition. We should also note that if you are using a 15” laptop with a case, it’s going to be a bit of a tight squeeze. 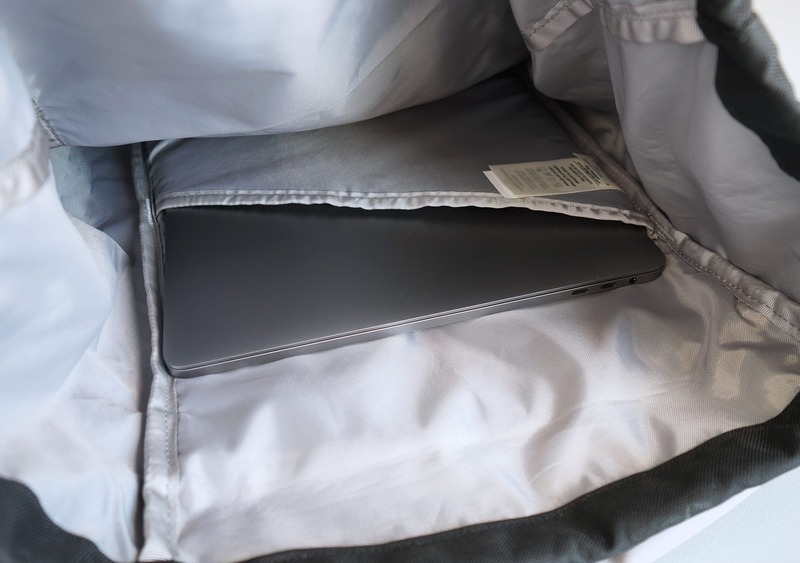 If you’re not traveling with a laptop at all, the compartment can double as an insulated hydration sleeve. The old version featured a buckle at the top to ensure extra security, meaning your laptop (or water bladder) wasn’t going anywhere once securely strapped in. However, the Arbor Classic Pack ditched the buckle and added a diagonal skew to the sleeve. We’re not too sad to lose that buckle because unless you’re hanging out upside down with your pack on, it didn’t add a ton of noticeable value—and it also had the potential to scratch your case-less laptop. The rest of the main compartment is a top load bottomless pit, so use those packing cubes people! The interior lining color differs from pack to pack depending on the exterior color you choose. 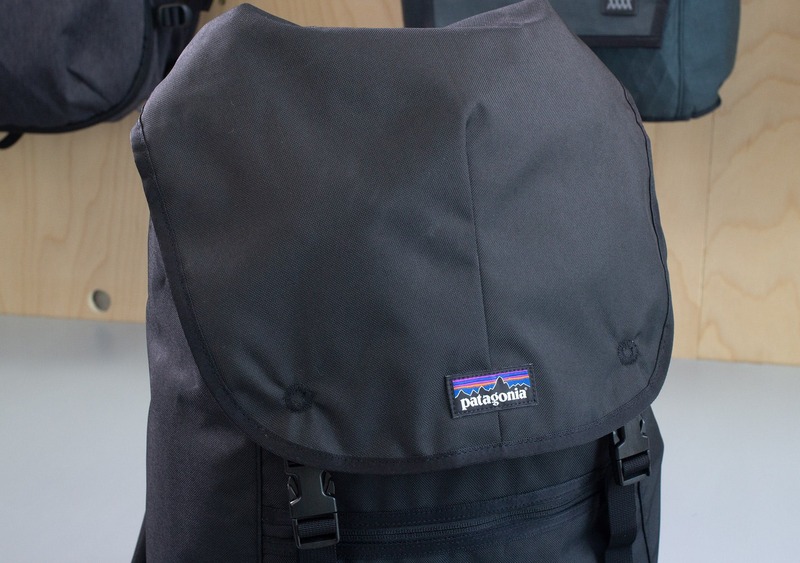 However, Patagonia made sure to use different color exterior and interior colors, which we found really helpful when searching for gear inside the pack. A zippered stash pocket can be found on the top flap of the pack, which we think is kind of a strange place for a pocket… After years of packing this thing up, we haven’t really figured out what fits best in there. Patagonia suggests a phone or wallet but we’re not too convinced it’s the best spot for them, although it would be pretty secure. Depending on what you store inside, the flap will fold over kind of funkily (funkily? is that a word?). If anyone has ideas on what to store inside here, let us know! After years of use and keeping tabs on multiple arbor packs, the Arbor Classic Pack has held up happily for us. 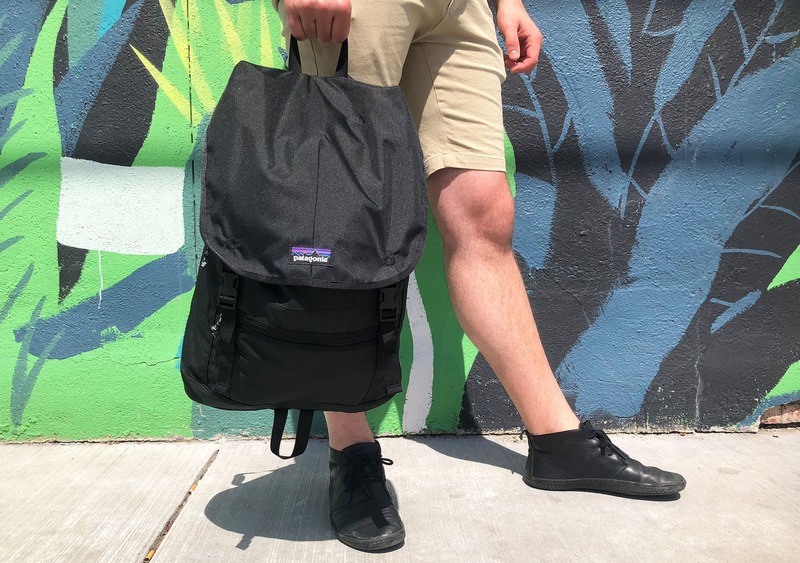 One major gripe we do have with this bag is the lack of side pockets—when traveling with a reusable water bottle, you’ll end up having to carry it in your hand instead of having a place to easily store it. Luckily we’ve been able to attach water bottles such as the Vapur to the pack when utilizing a carabiner to get the job done. Aside from that, this pack has been one of our trusty favorites. 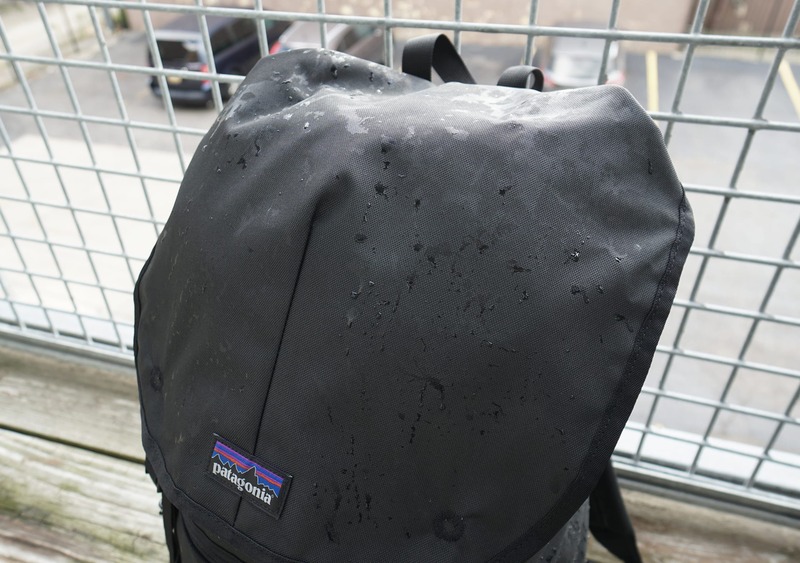 We’re pleased to say that the durable water repellent coating can hold up well in a rainstorm, but we don’t suggest staying out in the rain too long or the pack will start to get a bit damp! From accidentally sitting this thing down in many puddles to placing it on countless hostel floors—everything is still looking good. 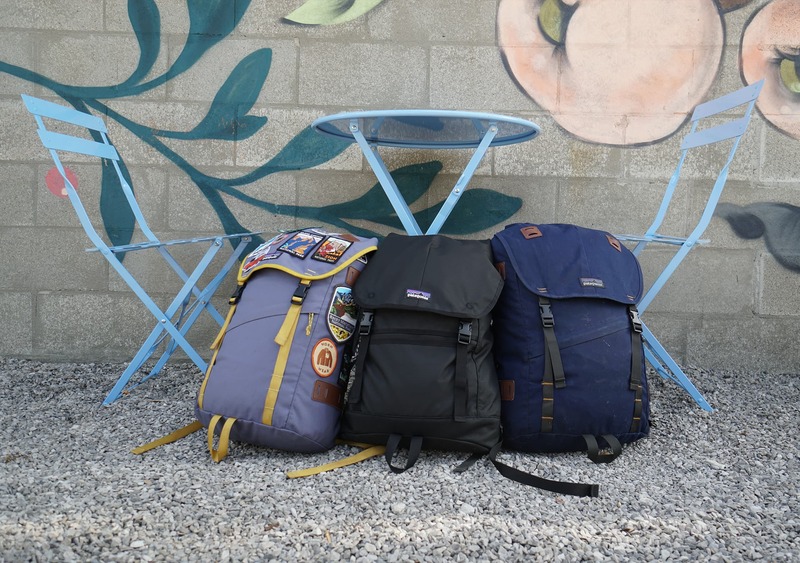 In the few years we’ve traveled around locally and abroad with the Arbor Classic Pack, a few blemishes have developed, but nothing a good wash can’t get out! The Arbor Classic Pack and Older Arbor Pack are incredibly similar with only a one liter capacity difference and couple other small details. One of the main differences being that the Classic version was made a tad bit more environmentally-friendly with bluesign® approved fabric, as we mentioned above. As far as the rest of the pack’s looks go, you won’t be finding those aesthetically pleasing accessory patches on the Classic version—but if we’re being frank, we didn’t utilize them a ton to begin with. However, instead of those accessory patches, you will find some additional fabric lining the bottom exterior pocket of the Classic version which adds to the packs overall aesthetics. This has no effect on the function of the pack—but worth noting if you’re picky with looks. Same goes for the back panel, which is a bit different on the Classic version, but functions exactly the same in our experiences. 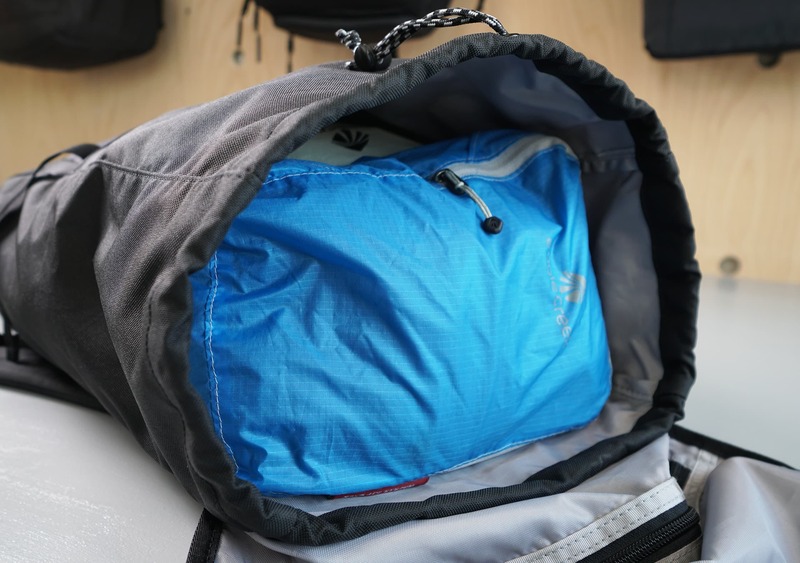 The interior padded laptop sleeve can double as an insulated hydration sleeve during treks on both packs—BUT again, it’s worth noting that the sleeve is slashed at a diagonal skew in the Classic version. 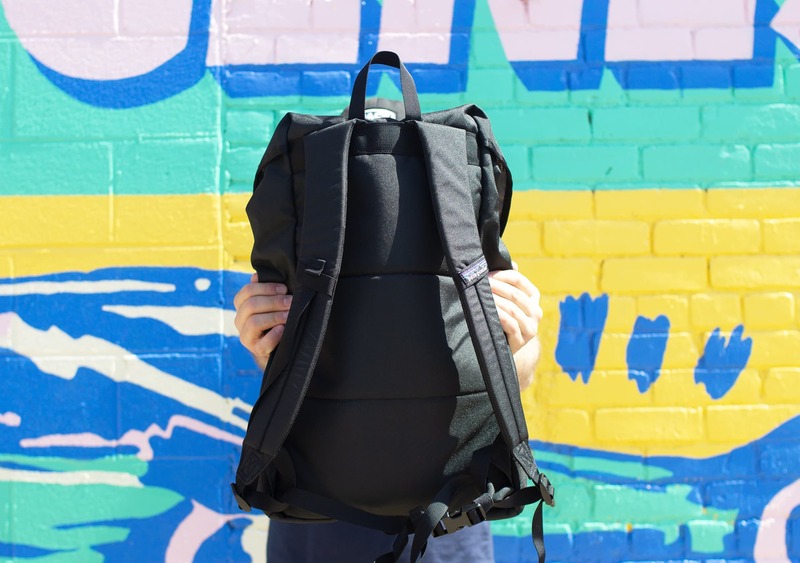 After some use and thought, we prefer the Older Arbor Pack version of this as the diagonal version has given us trouble when trying to shove a laptop back into the compartment quickly at airport security—annoying! At the end of the day, despite their slight differences, we think both are solid packs. However, again, you won’t have to worry considering they only currently sell the Arbor Classic Pack. Arbor Classic Pack: Great! Same as the older version, no problems initially. Older Arbor Pack: Great! No problems. Arbor Classic Pack: Wishing they added side pockets to this version! Older Arbor Pack: Wishing there were side pockets! Older Arbor Pack: Looking good. Older Arbor Pack: Still looking good, some dirt is picking up on the bottom but nothing out of the ordinary. Older Arbor Pack: Still a thumbs up! Older Arbor Pack: One of our Arbor Packs has yellow straps—so, as you could imagine, we’ve picked up some dirt on the yellow which shows a tad more than other areas. Older Arbor Pack: Looking good, normal wear, nothing crazy. 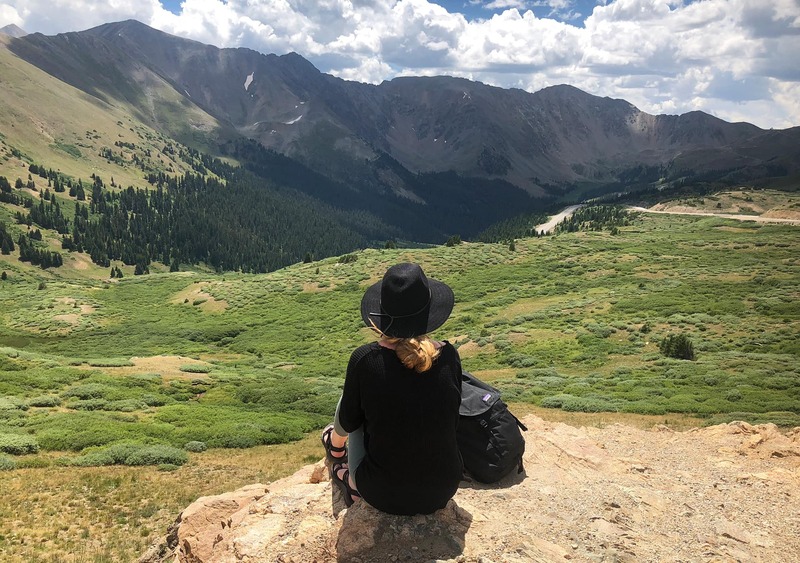 Older Arbor Pack: Lost an elastic keeper—but we contacted Patagonia and they were happy to send us a replacement! Older Arbor Pack: A few blemishes but nothing we can’t wash out. Still a trusty choice for travels! Different color liner helps to see and organize gear inside the pack. The drawstring top and buckled top flap work great for weather resistance and security. Utilizes recycled polyester giving it a more eco-friendly feel. No side pockets—wishing there was easy access for water bottles and more. The top flap pocket is kind of awkward to pack up—still not sure after 2 years what fits best in there. Wishing there was a sternum strap, along with the option to remove the hip belt. 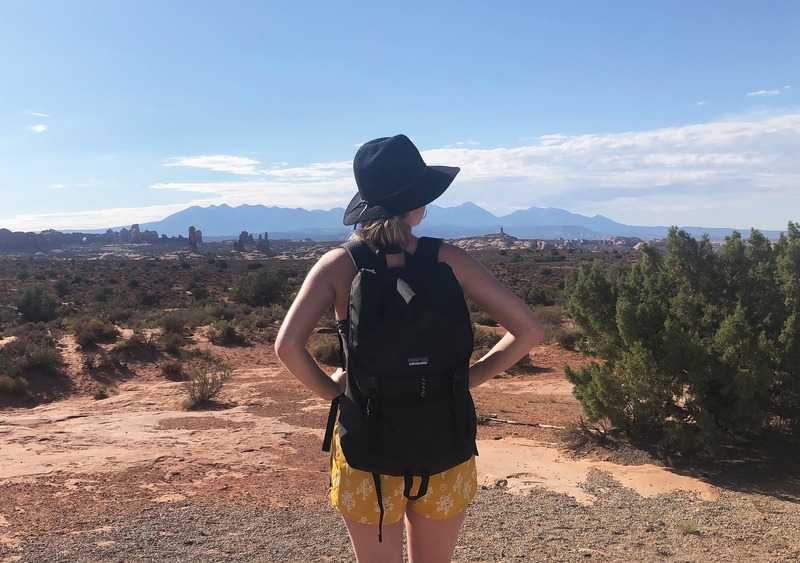 We’ve taken the Patagonia Arbor Pack across multiple borders and it’s held up in desert heat, trekked through miles of nearly below freezing conditions, and continues to be one of our trusty travel packs. With only a couple gripes, including the lack of side pockets, a slightly awkward top flap pocket, and a couple harness system issues, we’ve used this thing for continuous months and years on end—and it’s held up pretty great despite a few blemishes on the exterior.